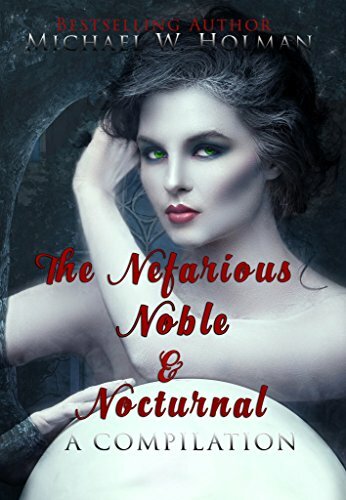 The Nefarious, Noble and Nocturnal is a collection of short stories that follow three ghostly women and a vampire. How did this collection come together for you? Did you write them individually over time, or did you set out to write a compilation? My short story compilation came together when I was getting my apartment organized one weekend this past summer and found some college ruled notebooks. From notations I had made in side margins, all four of them had been written years ago. Frankly, I had forgotten all about them. They appear in chronological order; “Another Helen’s Haircomb” was written in 2011 and is the oldest. The last short story, “There’s Always Another One,” was finished in 2014. 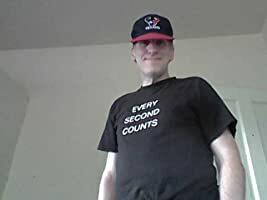 As readers can see, even with all of them combined, the cumulative word total is less than 8,500 words, but I remembered that while I attended business college I had enjoyed various compilations and Reader’s Digest editions during breaks from classes. An idea of putting four of my own writing projects together grew more and more appealing to me, so I ran with it. Pun intended. I really like the cover of the book. How did you decide on what cover to choose? I appreciate what you wrote about the cover for my compilation, many people have had similar comments, for which I’m grateful. But credit doesn’t belong to me. The Chief Executive Officer of my publisher, Captive Quill Press, is also an author friend of mine, Kenya, and that attractive, haunting woman on “The Nefarious, Noble and Nocturnal” cover was Kenya’s idea. She said market research showed potential consumers react with more interest when a striking female model appears on a book, especially when it is in the paranormal fiction genre. I trust my friend’s savvy, so I approved her suggestion. I consider this a thrilling paranormal romance collection. Do you read books in that genre? Are there any books in that genre that have influenced you over the years? Yes, I do read paranormal romances. Perhaps that’s unusual for bachelors, but my reasoning is there’s more opportunity for the creative half of my brain to engage when I read stories with supernatural content, and I can immerse myself with the element of “what if” because it makes for great entertainment, a great escape from my work life which is compartmentalized, ordered. I see enough drab, plain stuff everyday. I want my imagination to have adventures. Stephen King’s “Bag of Bones” influenced me to write “Intervention” in particular. I felt that the characters had a lot of depth. What ideas did you have about your characters when you started and how did that change as you were writing? As I mentioned earlier, “Another Helen’s Haircomb” was written in 2011, so I can’t remember specific ideas about my characters as I wrote at the time, but the reason I thought it was so important to include within The Nefarious, Noble and Nocturnal is our basic human curiosity and awe when it comes to the vastness of eternity. However, what dove tails with that concept is simply no matter how many technological advances are made, we’re still much like my fictional character of Helen from ancient Athens, in that we grieve and love deeply. Furthermore, according to what I’ve read and heard over my life span, thirteen-year-old girls, especially those who have faced traumatic incidents (such as the loss of a parent), seem to be more apt to accept paranormal manifestations they witness. I took some liberty with a father “rolling with the punches” too, granted, but I thought it was reasonable if I demonstrated a dad and his daughter seeking to adapt as best they could together. Where my other three short stories are concerned, the characters remained as originally written, except for Moira in “There’s Always Another One.” When I did a final edit before I sent my file to you, I decided to make her a bit more complex. While I wanted her to keep a degree of seductiveness, it was vital for readers have a more pronounced idea that she’s no bubble-headed nymphomaniac who happens to be a vampire. She has an agenda, and she has every intention of carrying out her objective with a mercenary’s calculating, cold willfulness to succeed. What is the next story that you are writing and when will that be published? Currently, I’m in the process of writing a novel, still on its fifth chapter, which is a ghost story entitled “The Stein and the Studebaker: Book 1 of the Norseman Chronicles.” Another of Stephen King’s older works, “Christine,” is influencing me again, but there will be notable differences when my book is done this coming summer or autumn. For starters, King’s supernatural auto, a 1958 Plymouth Fury, is written as a homicidal, vengeful wraith on wheels. By contrast, the 1957 Studebaker Golden Hawk in my story is motivated by a desire to see justice is brought to bear for a murder investigation that went cold in 1960. My intent is to have the story written sometime between June and October of 2017, but I have no idea how long it will take to get the book published after that. Oh, and it will be the first of a trilogy series. Readers, prepare yourselves, and embark on a supernatural journey spanning the battlefield of Marathon in ancient Greece to the present day in America’s Pacific Northwest. Three long distance runners will encounter ghosts, one falls in love with a beautiful vampire who has an agenda, and all four will cross very different finish lines, whether they’re ready or not. 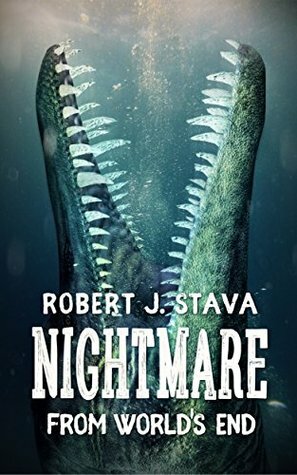 The Nightmare From World’s End, a science fiction thriller by Robert J. Stava, takes place in Wyvern Falls located along the Hudson River. The action begins when various people begin to go missing along the river. Members of the community are confused about the disappearances until it’s discovered that a giant squid-like creature is wreaking havoc, leaving carnage and even more questions in its wake. That’s not all to the story, however. There isn’t just one creature, there’s two! A major player in the chaos is John Easton, a private detective, begins to unravel the history around the two creatures. 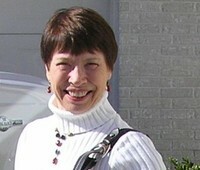 Alongside him is Sarah Ramhorne, a strong-headed Native American archeologist who seems to hold some of the answers. Together they, along with others, try to unravel the story that surrounds these two mysterious creatures and put a stop to the death that has been taking place along the Hudson River. This book is definitely a thriller that will have readers flipping through the pages wondering what will happen next. The author holds nothing back when he describes each vicious attack committed by the giant squid. Also, the tie-in with Native American culture within the book was handled well. It’s obvious that Robert J. Stava did his research on the tribes in the Hudson Valley area, and while the main purpose of his book was to thrill his readers with the tale of giant, murderous, perhaps ancient sea creatures, a secondary purpose was to provide them with a history of the area and enlighten the reader on Native American history. Adding to this point, Native American folklore is very present and relevant within the piece. The leading lady, Sarah makes it a point to educate those that she encounters about the injustice done to the tribes within the area. The author doesn’t just place Sarah’s dialogue as disconnected rants within the piece; it all leads up to the climax the unfolds towards the end of the story. This is evident through the actions of Crazy Jack, a homeless Native American (and real folklore character), that contributes to the climax of the story by waking up the second creature that lives on the other end of the river from where the squid is attacking. 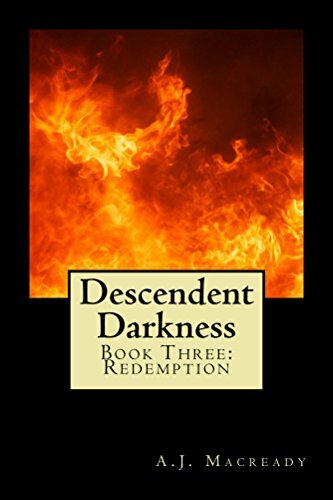 Throughout the story, Crazy Jack is guided by the voices of his ancestors, telling him what must be done in order to bring an end to the death and carnage unfolding. 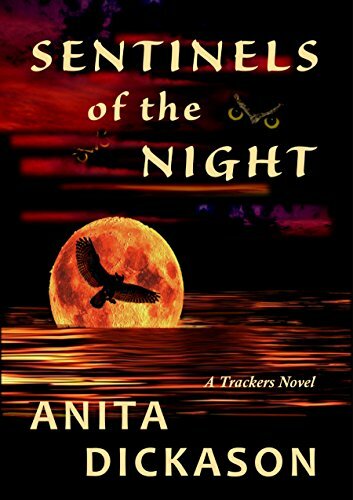 This book has a lot going on it in; sea creatures, Native American history and folklore, a private detective with a tragic past, ancient aliens, mind-reading, and even ghosts. You name it, and it’s probably in this book. At times, it was a bit too much, and a little disconnected for the reader. Especially, the bit on ancient aliens. It’s hard to see how Guillamo Del Tesler and his fanatical theories about the river monster being an ancient alien come into play. He’s brought to the area after Jennie Roderick, a half-witted archaeologist student, mails him some doctored petroglyphs that indicate an alien existence within the area. While this part of the plot is an entertaining aside to the major drama going on in the story, it was difficult to discern how it actually contributed to the overall plot, if at all. Overall, the author tells a good story. The entwinement of sci-fi thriller with Native American folklore is unique and provides a sturdy foundation upon which to base the plot of the entire story. Regardless of a couple smaller story lines falling out of place within the book, it was an entertaining read. If you’re in the mood for something short, supernatural and entertaining, look no further than The Nefarious, Noble and Nocturnal compilation by Michael Holman. These four short tales come together in one volume to tease and delight readers. We meet three ghostly women and a vampire during our adventure and they all have something on their minds. One wanders the world in limbo waiting for a lover that will never return. Another warns her former partner of impending danger and another woman is completely unaware that she has even passed on. We close out with a vampire who is seeking someone to accompany her on her immortal journey. Four women, four tales of spooky versions of affection. Will all four tales have a happy ending? What would be a happy ending for a spectre? You’ll just have to read to find out for yourself! When writing a compilation of stories it is always good to have an underlying theme or two. Holman uses slight affairs with romance and the supernatural in all of this tales. 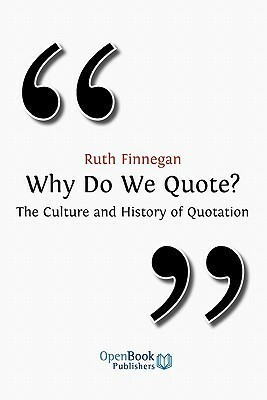 While the ideas are entertaining, the writing lacks somewhat. Our first story doesn’t have clear transitions in time and the characters are all too accepting of the supernatural event that takes place. It seems unrealistic and rushed. Our second story is shorter and is written much better than the first installment. There are some stylistic issues, but they do not detract from the actual tale. The same can be said about the third and fourth story, although they all feel as though they were rushed and incomplete. It can be difficult to write in a shorter format and still get all the important details across, but I feel that Holman has made a valiant effort. If you could skip the first story and focus on the remaining three you would have a much better read. They are better written and feel more like short stories than the first. The language used in the remaining three fits better and more of the important substance of the tale comes across. The first story is brimming with so much possibility that the story feels hampered by the shorter format, where it would really shine as a full length novel. The Nefarious, Noble and Nocturnal is an interesting compilation of four supernatural events and their impact on a very natural world. All four tales are separate from each other but have an underlying theme of romance or affection. I found the ideas behind each story to be entertaining and the story lines were easy to follow, but the feeling of being rushed detracts from what could otherwise be an interesting read. 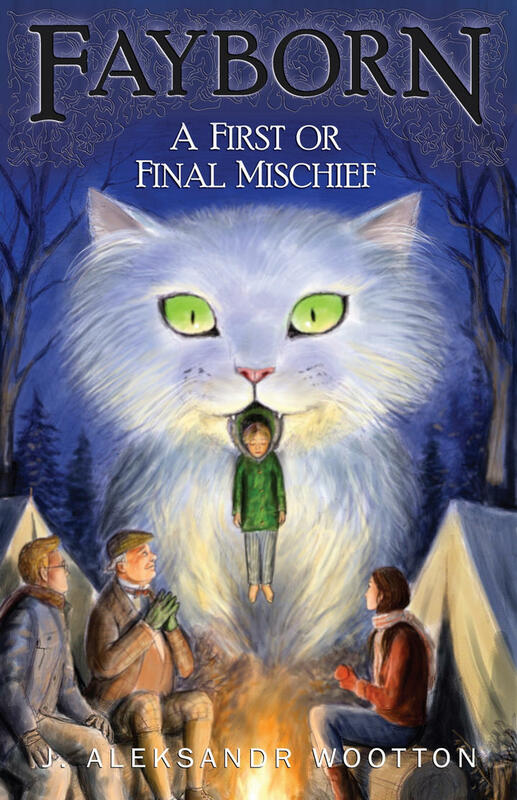 The language is easy enough that these stories should be enjoyable for all reading levels. Readers will find a nice nugget of storytelling in this small book.